The successful outcome of the Shrewsbury BID ballot was declared on Friday 26th October by Shropshire Council, the independent Ballot Holder. The overall result was 88% in favour by number of eligible businesses who voted, 91% in favour by rateable value, with a turnout figure of 58%. This is joint highest result outside of London and the fifth highest turnout in over sixty town/city centre BID Ballots in the last eighteen months. Mike Matthews, Chair of Shrewsbury BID, said: “This is a fantastic vote of confidence and underlines the BID’s impact and its importance to the town. “We’re grateful for this strong show of support; it furthers our determination to build on the achievements so far and aim for greater success in the future. The BID Board of voluntary Directors are excited about what can now be achieved in support of our members and the town over the next five years. “We look forward to continue working with and for the business community to ensure their voice is heard on issues that matter, delivering high impact marketing to attract new customers and investment, generating cost savings and enhancing the town centre as a vibrant and successful destination with its own distinct sense of place. Current BID projects include working with Shropshire Council, and Shrewsbury Town Council on the Big Town Plan, which sets out a vision for how the town can evolve to meet future challenges. 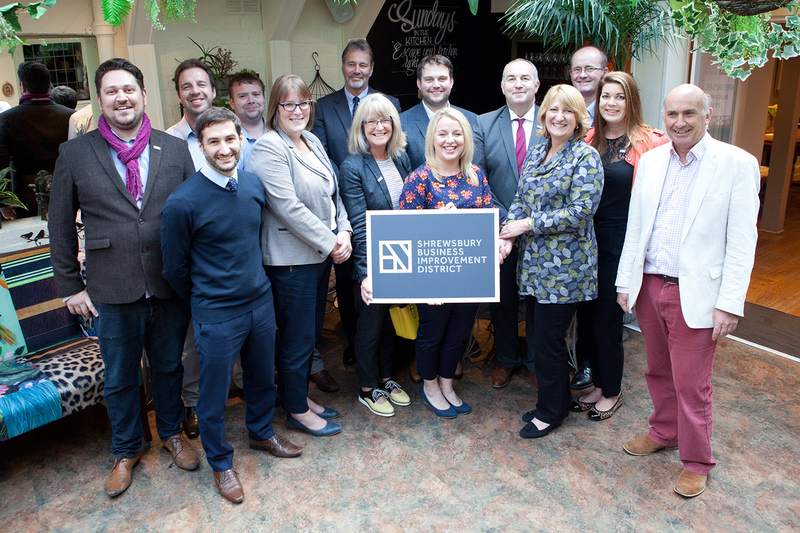 Shrewsbury BID represents more than 500 businesses in the town centre. Since its formation it has provided extensive marketing support, cost saving and town safety initiatives, representing business with a powerful voice, lobbying on key issues from business rates to the town’s car parking strategy. View the Declaration of Result.